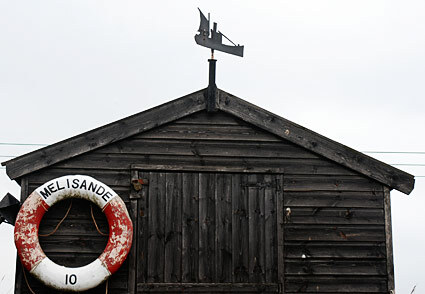 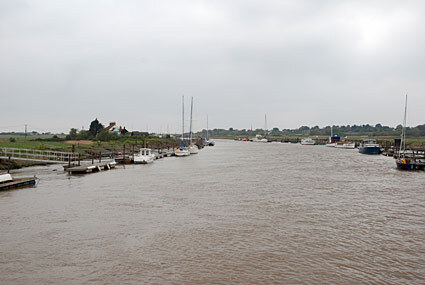 Lying south of the town on the River Blyth, Southwold Harbour extends nearly a mile upstream, with a RNLI Lifeboat station and the Alfred Corry Lifeboat Museum at the seaward end. 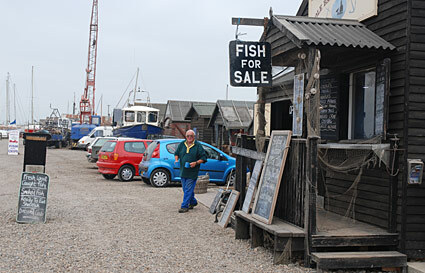 Still busy with fishing and pleasure traffic, you can find huts selling freshly caught fish, a tea room, boatyards and The Harbour Inn on the north side of the river. 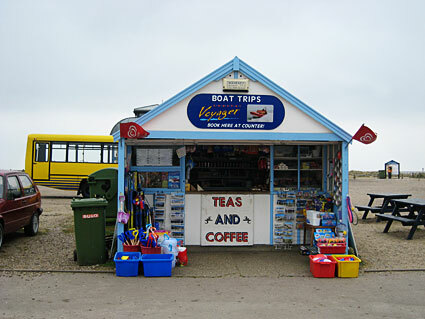 On a freezing cold and windy May morning, this tea and coffee hut remained punter-free. 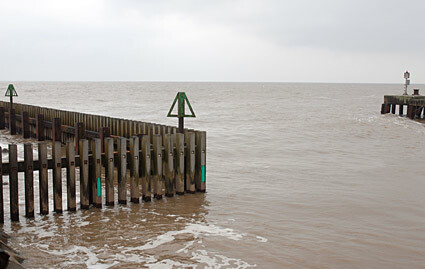 The breakwater by the entrance to the harbour looked in need of attention. 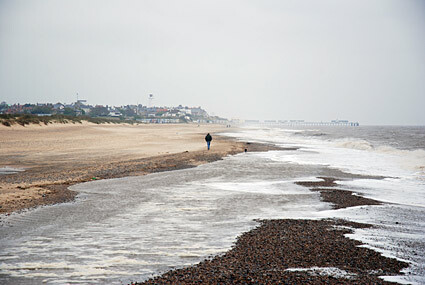 Looking north along the beach to Southwold pier. 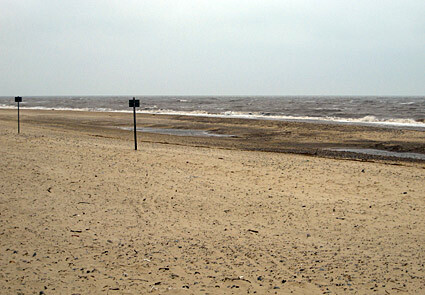 With an icy wind blasting off the North Sea, very few people ventured on to the beach. 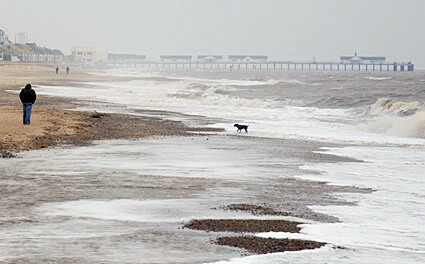 Bloke walking his dog on Southwold Beach (this stretch is known as The Denes). 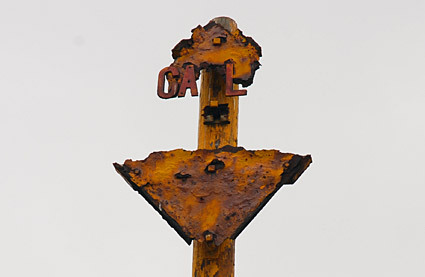 Seriously rusted old sign by the river. 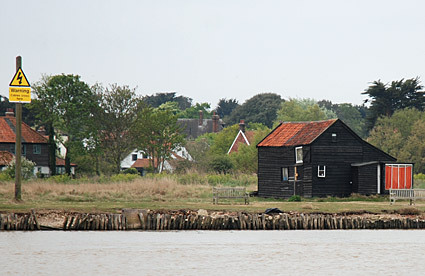 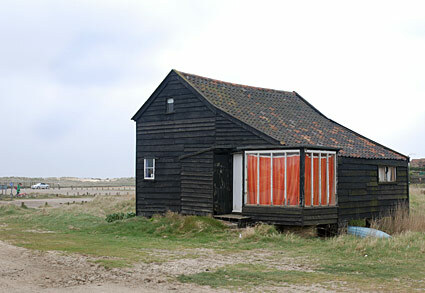 Looking across the river at an old wooden fisherman's house, in the vernacular black finish. 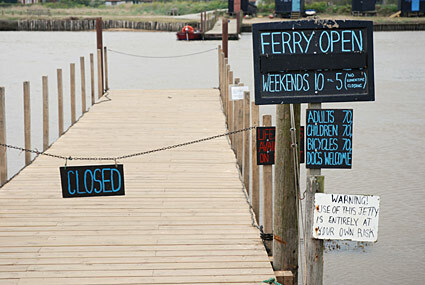 Slightly confusing signs at the ferry stop. 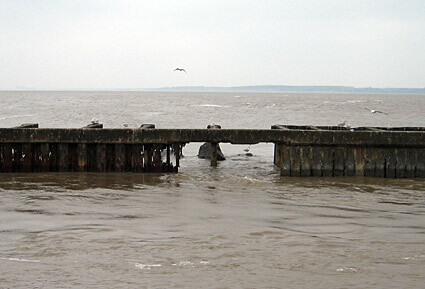 When it's really open, the rowing boat ferry takes punters over the River Blyth. 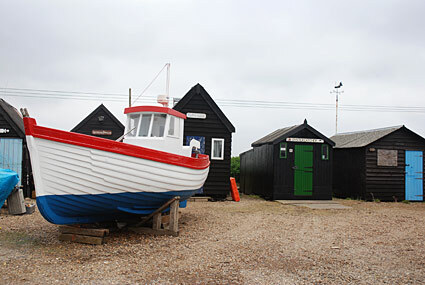 The service has been operated by the same family since the 1920s - back in those days it ran as a chain ferry and was able to transport cars. 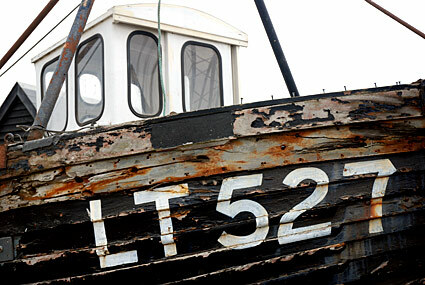 After passing the ferry, I ended up with Chris De Burgh's dreadful 'Don't Pay The Ferryman' song lodged in my head for some time. 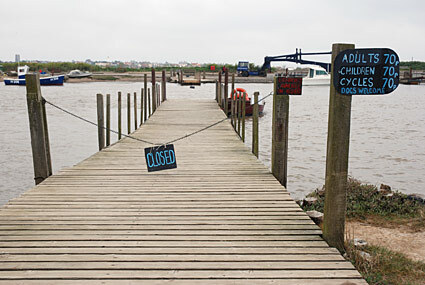 And, believe, me, that wasn't a pleasant experience. 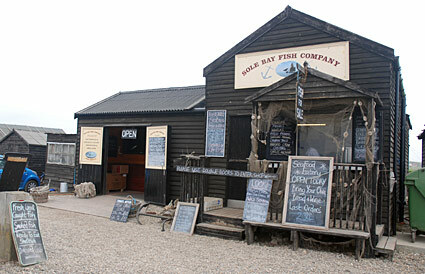 Sole Bay Fish Company hut. 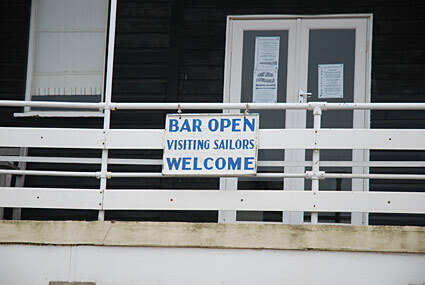 Signs outside the hut invite people to enjoy their Seafood Eatery ("Bring your own bread and wine") or to buy some "cockles, mussels, whelks, peeled prawns, shellon prawns, crayfish tails, dressed crab, oysters and garlic anchovies.". 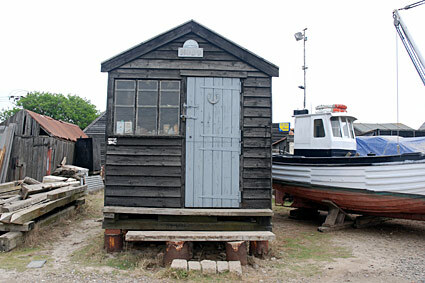 All along the river were boats being repaired. 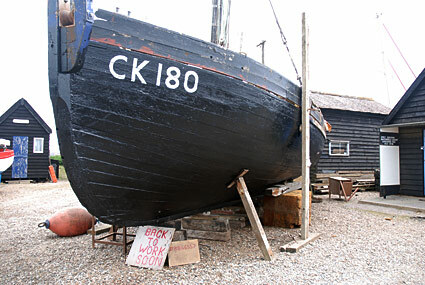 I liked the sign under this boat; "Back to Work Soon". 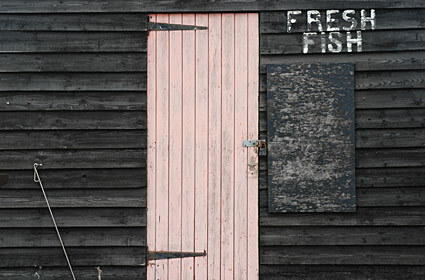 Hand painted 'Fresh Fish' sign. 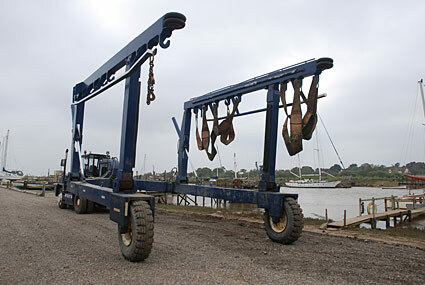 Curious tractor-powered contraption, presumably for pulling boats in and out of the river. 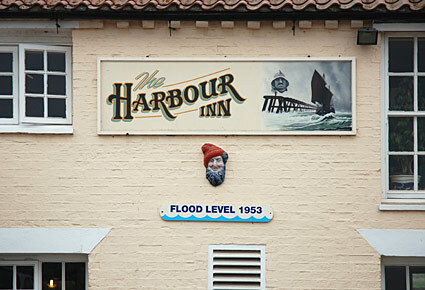 Harbour Inn, Southwold Harbour. 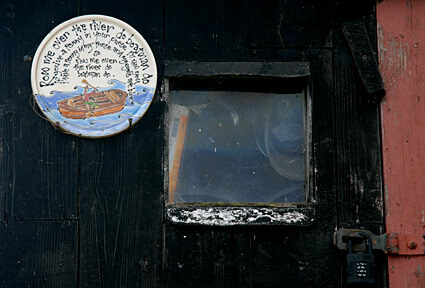 Note the marker showing the height of an exceptionally high tide in 1953 that caused extensive flooding on the East Coast. 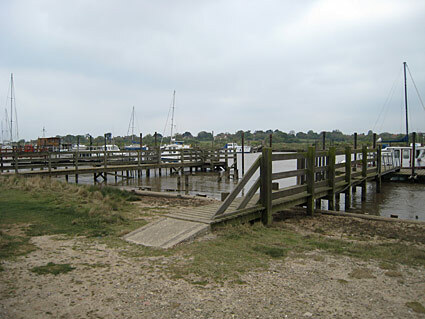 Crossing the River Blythe on the old Southwold Railway bridge, which now serves as a footbridge. 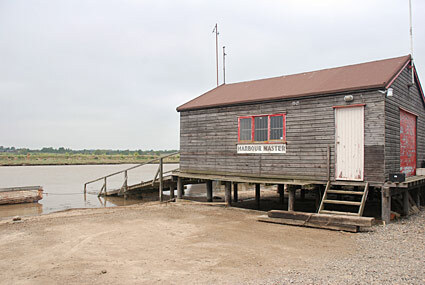 The river taxi landing stage from the other side of the river. 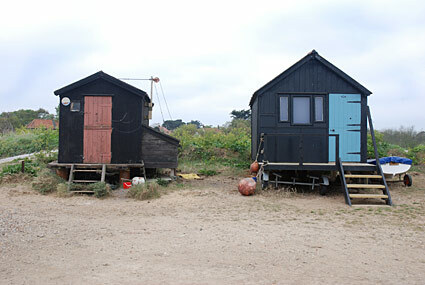 Fisherman's huts on the south side of the river.